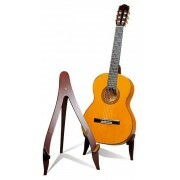 Raimundo 126 LH Left handed Flamenco guitar. 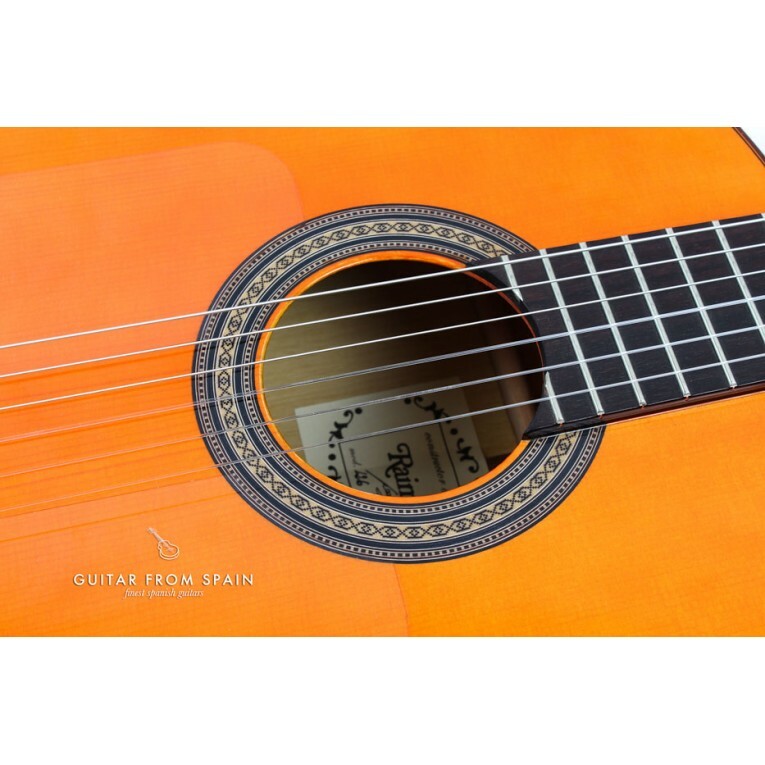 This is a fantastic entry level flamenco guitar for students and beginners of flamenco guitar music. 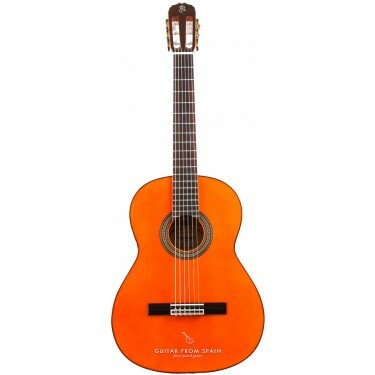 The Raimundo 126 LH Flamenco is a great guitar for an affordable price. 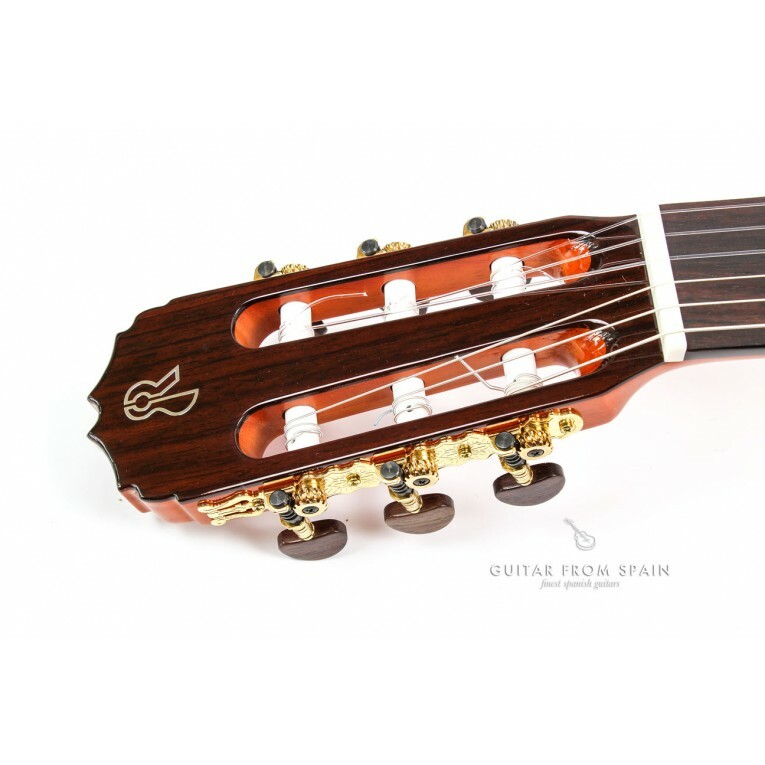 A lively and brilliant sound characteristic of flamenco guitars in this Raimundo. 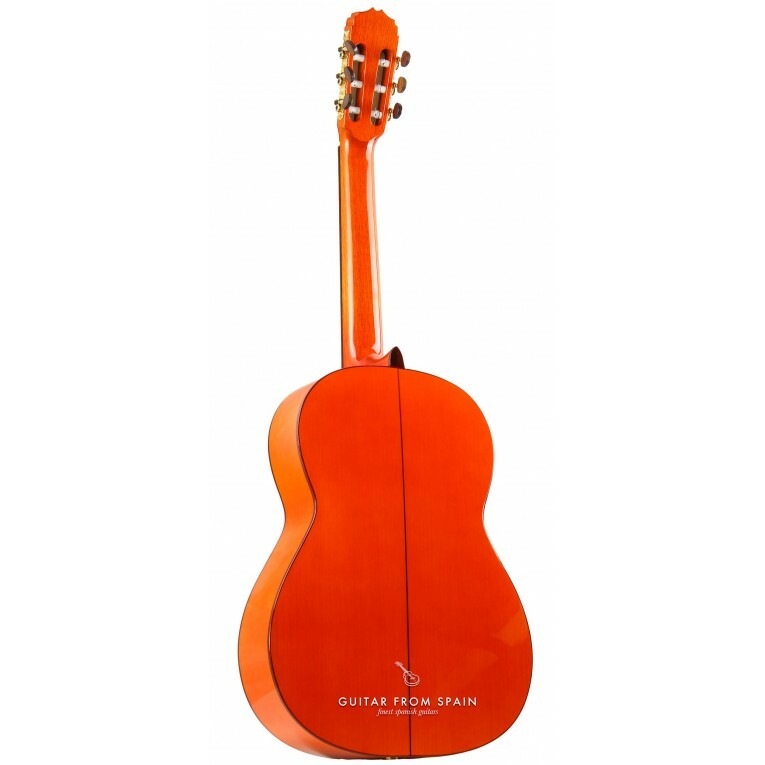 With solid spruce top, bryna wood body, rosewood fingerboard, rosewood bridge and gold plated tuners. With transparent pickguard. 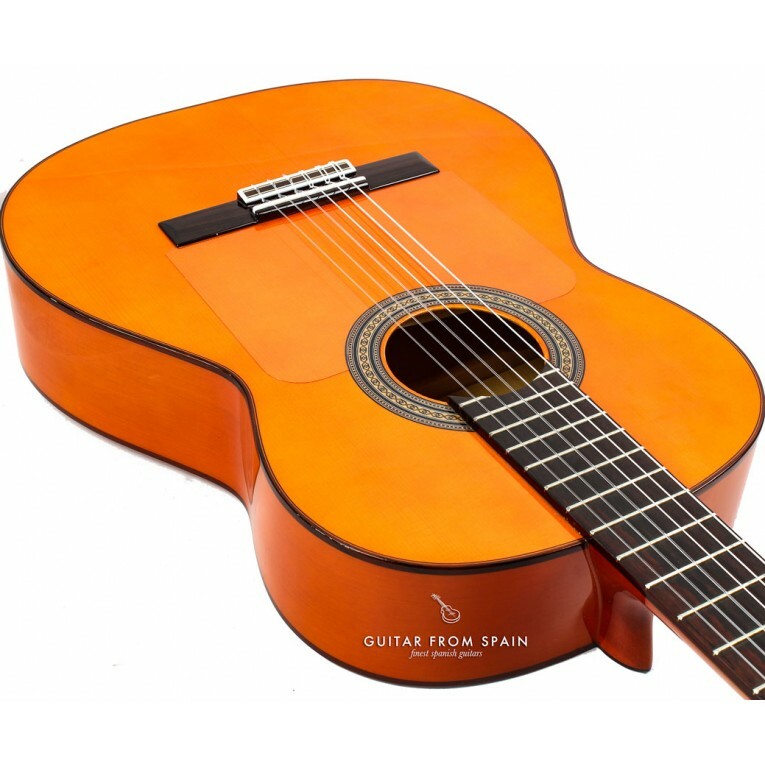 This guitar is totally hand made in Spain. - Nut width: 51.5 mm. Savarez 520R High tension strings (red card). 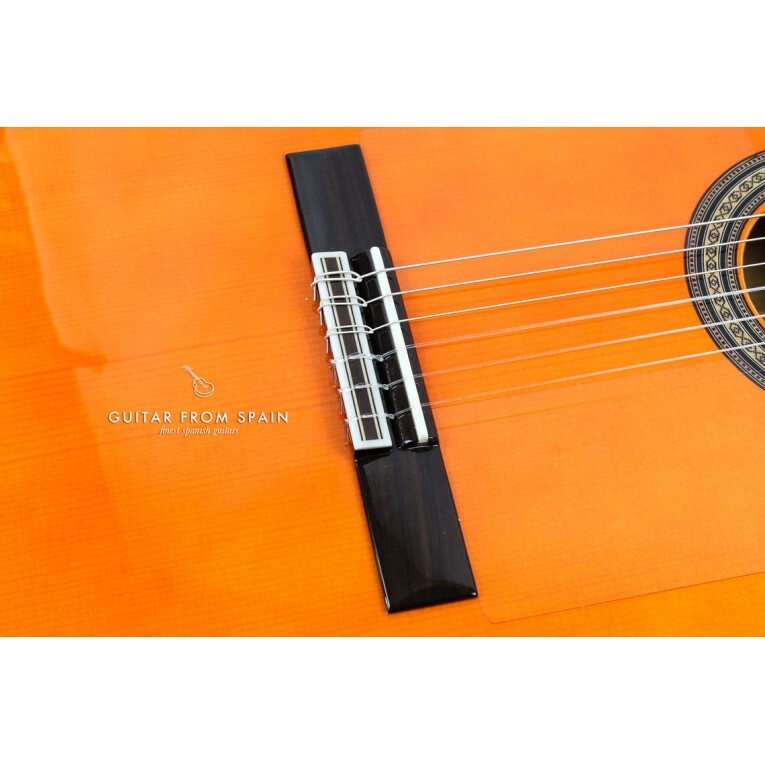 For classical and flamenco guitar . Traditional basses. High tension Rectified Traditional trebles. The trebles have an unpolished texture that aids in control and vibrato. La Bella 820 Flamenco strings sets contain red nylon trebles and silver-plated wound basses. 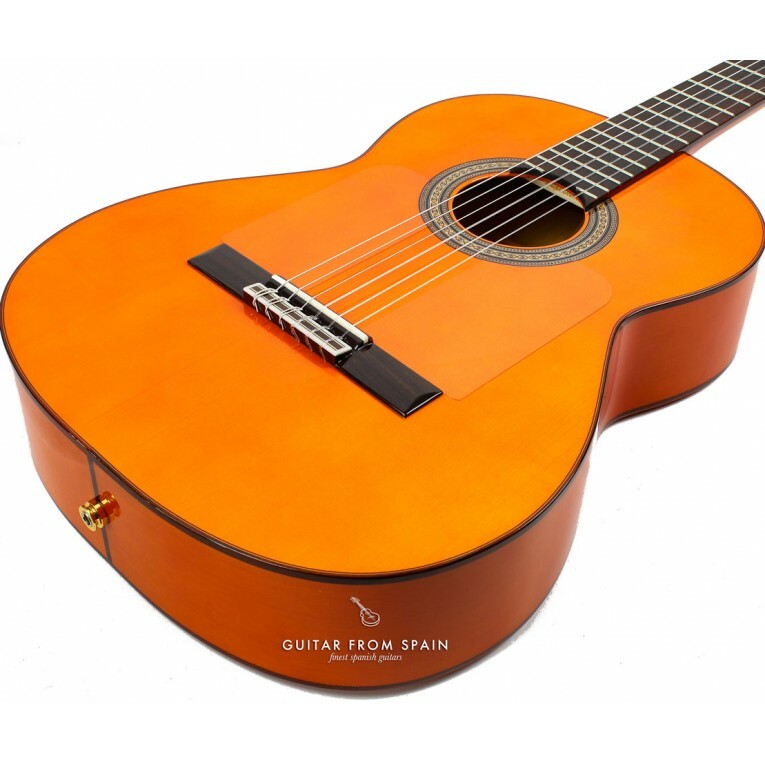 Especially designed for the flamenco player , this set produces extremely brilliant tones with only the slightest left hand finger pressure.